An excellent Score of a magnificent composition and traditional Mexican song. Its name is "La Bamba". Who does not remember the great soundtrack that accompanies the movie of the same name? La Bamba, a grief of what we may seem, is a popular Mexican song by unknown anonymous. Its description is located in the last years of the XVII Century! Still it is one of the most versioned songs, especially in the Spanish-speaking world. In addition to Ritchie Valens, the Wolves, Gipsy Kings, Julio Iglesias, Gipsy Paul McCartney and Bruce Springsteen, Metallica, Gipsy Paul Mc Cartney and Henry Mancini and the Royal Philharmonic Orchestra Springsteen, Selena ... among many more. that is repeated (I - IV - V). For this reason, it is very easy to accompany the guitar and it was one of the first songs that he learned to play / sing with my guitar. I do it with my friends, with my classmates / as musicians ... It's fascinating when you first understand how a song is accompanied and you get to do it. La Bamba is recognized as a very popular Anthem in the city of Veracruz. Its genre is known as Son Jarocho, a musical expression of the same city that integrates dance and poetry. We have already uploaded a publication with the Easy Score with Notes of the Bamba, which you can also find below. If you want to read we leave the post here. 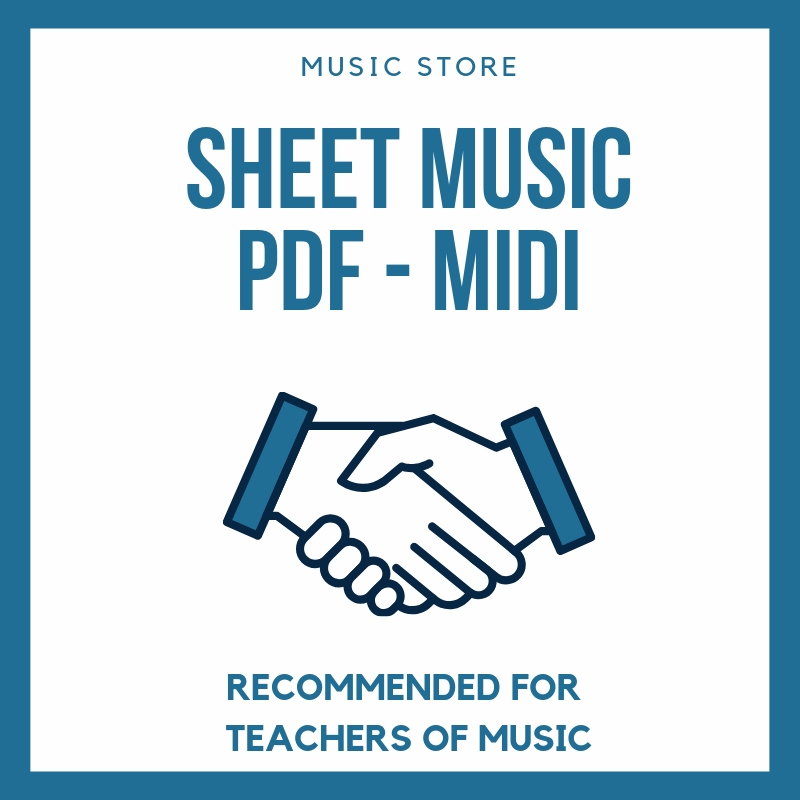 Do you want our more than 1000 free sheet music? We begin with the Scores. We remind you that the format is available for free download very easy. Open the score in another tab and then hit "save as" on your computer and ready to print! 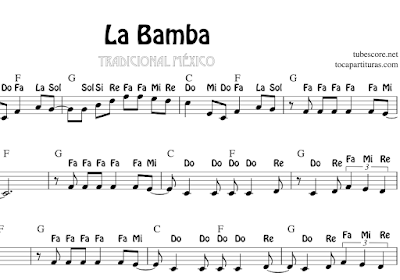 We have many comments in the videos of our Youtube Channel asking for the sheet music in JPG format of the Bamba. We remember that everything you find on this website is personal, free, and personal work in my free time and that only a publication like this takes weeks and / or months to do it. It is not a joke! A publication like this can take 3 weeks perfectly to complete it. Therefore, we are publishing the fixes little by little, although YouTube videos are published before. We feel we can not meet all the demands and follow a faster pace of publication. I hope you understand and support us sharing and creating good vibes through the blog. Sharing only with people who can serve our scores to enjoy (the real purpose of the blog). EASY SPANISH NOTES (UP) THANKS!